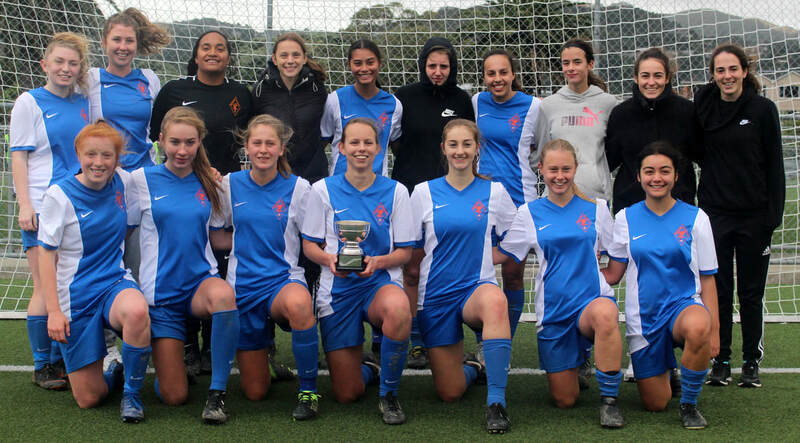 Wellington United Diamonds collected their fourth trophy in three years when they won the early season competition the Kelly Cup Bowl on Saturday with a 4-0 win over fellow W-League contenders Palmerston North Marist. Diamond's who won the Kelly Cup last season, suffered a shock 1-0 defeat to Victoria University in the second round of this season's competition. That result saw them drop into the Bowl competition and they qualified for Saturday's final with a comfortable 2-0 win over Petone. Their opponents in the final were a team that has provided a challenge for the Diamonds in recent years, Palmerston North Marist and the most recent meeting was a pre season friendly where Marist ran out 3-0 winners. The game got off to a late start as no referee turned up, a PN Marist supporter stepped in to take the whistle and did a good job. Marist's hopes of a repeat of the pre season result were quickly dashed when a brace from Jemma Robertson in the first 20 minutes put United 2-0 up. Robertson was unlucky to not get a hat trick as United created many chances but were unable to add to their total by half time. United dominated possession in the second half and it was only the post, a couple of near misses and a great save from Welsh, the Marist keeper, that kept the scoreline down. Then with about 20 minutes to go, substitute Nat Olson, received a ball from the hard working midfielder Lucy Jones, and despite having two players around her managed to get a shot away from the edge of the penalty which found its way into the top corner. Shortly after another sub, Charlotte Wilford-Carroll, found the bottom corner and the game finished 4-0.